I have to admit I have wanted to try Michter’s for some time. I saw various iterations of the brand on the tv show Billions. The protagonist in the show had a stake in the distillery and Michter’s was the drink of choice among the billionaires while the political elite drank Johnny Walker Blue. The show even featured Michter’s Celebration Sour Mash, a $400 per shot $5,000 per bottle whiskey. 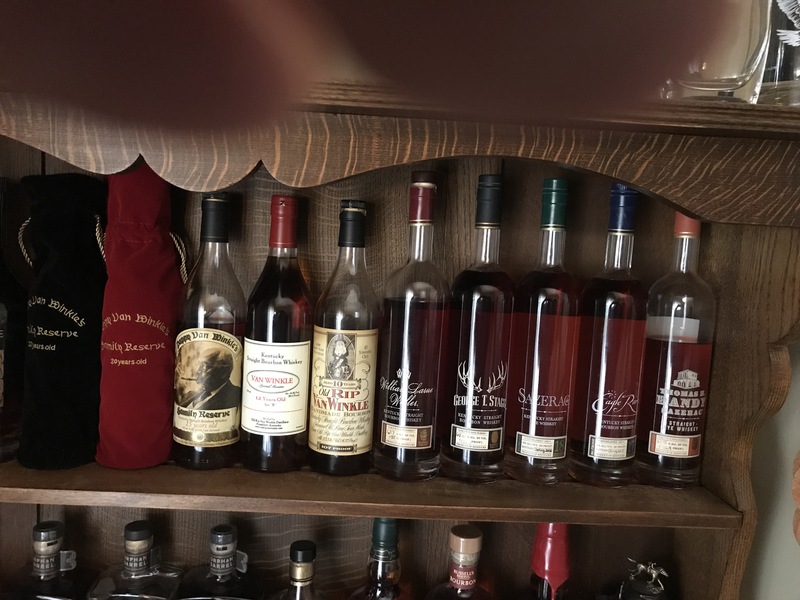 For comparison, you could get a full flight of Pappy Bourbons and a complete BTAC collection of bourbons for around that. I know because I have that. 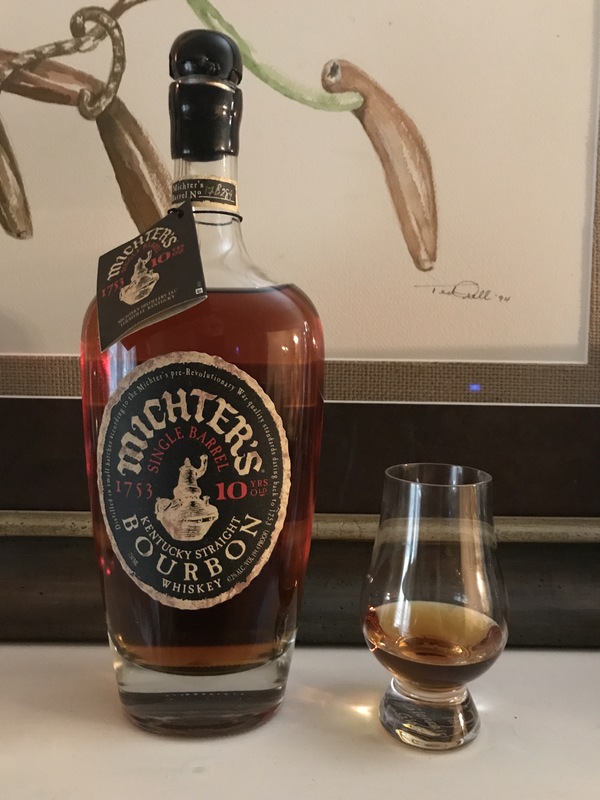 So, there is a lot of hype around Michter’s. In any event, I picked up a bottle of the ten year old limited release single barrel bourbon for $150. I truly wonder whether this bottle will live up to the hype. At 94.4 proof, this is a hefty but not overly hefty pour. The pour was a little syrupy, which is interesting. Very oily with long legs. Beautiful golden copper in color with hints of red mahogany. On the nose is mouth watering rye spice. Some sweet corn notes. Elegant. Nicely done. On the palate it is all traditional bourbon with an interesting almost refreshing minty flavor. Stupid smooth for this proof. A slight burn on the medium finish with hints of nutmeg and oak. Kind of a Christmas bourbon. Nice bourbon. But not 4 to 5 times better than E.H. Taylor or Eagle Rare. Frankly Taylor small batch is a little better than this. It has nothing on Old Rip Van Winkle 10 year old. It’s nicely done bourbon; it’s just not all that. 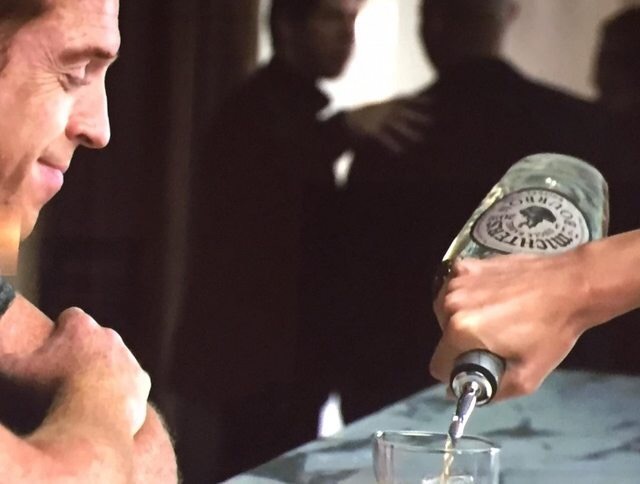 It thus makes sense why the distillery paid for product placement in the show Billions, even if all they did was donate their expensive whiskey to the show. And it also follows why Buffalo Trace and the Van Winkles don’t have to. Glad I have a bottle that I and my friends can try. It’s impressive on my bar, but, only because of hype.